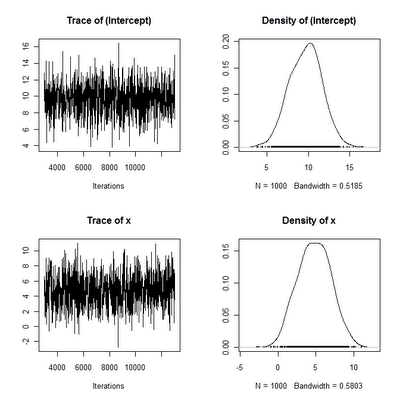 # I know very little about Baysian methods and this post will probably not reveal much information information. However, it should hopefully lead to many more fruitful posts in the future. # This will give the estimates of the coefficients that we are typically looking for. 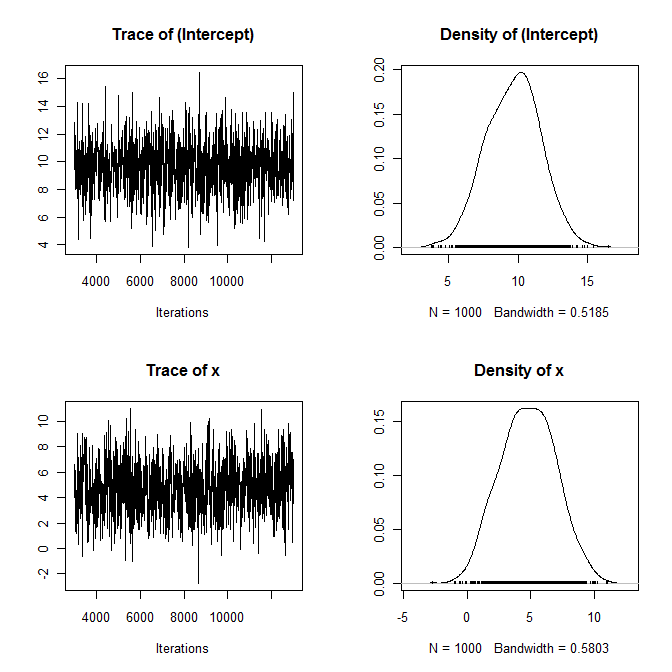 # 100% of the estimates of the intercept indicate that it is greater than zero. # 888% of estimate results indicate that the coefficient on x is greater than 0. # We can see that the standard linear model fails to reject the null for the coefficient on x even though it is large.